Wood has a naturally appealing look, and it’d be difficult to find many people who would argue against that, which is one of the reasons that wood blinds in Riverside, CA and the surrounding areas are one of the best choices there are for window treatments. Wood can have a natural appearance, be finished, or be painted, so wood blinds can be a great choice for any home decoration style or design. Wood blinds can complement and match with nearly any type of interior décor, and they’ll help to bring out the architectural elements of any space. 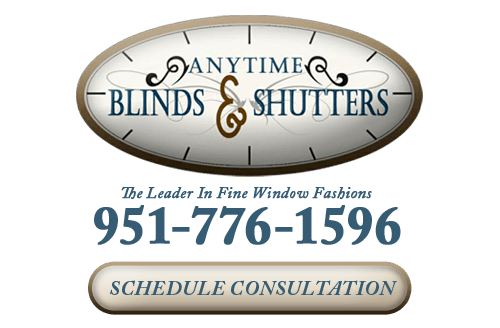 At Anytime Blinds and Shutters, our real wood blinds come in a wide variety of styles, from classic to motorized, so you’ll be able to find the perfect window blinds for your home. No matter what kinds of blinds you're looking for, our experts will be able to help you find window treatments that will meet all of your needs. If you’re unsure of which wood blinds would be right for you, our Riverside window blinds company can help you come to a decision with a free in-home consultation. We’ll bring our selection of wood blinds to your home or business and give you our professional design opinions and advice to help you make the decision. With the wide variety of window treatments that we have available, we can guarantee that you’ll find wood blinds that you’ll love to add to your Riverside area home or business. Wood blinds are most frequently made from bass wood, making them extremely durable and lightweight. They can withstand a lot of wear-and-tear and aren’t easily damaged. The hardwood material will not become distorted over time as long as it’s properly cared for. Wood blinds can be washed and dusted fairly easily, and as long as they’re regular cleaned, they won’t need much attention or maintenance. 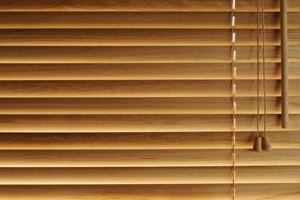 While you may pay more upfront for wood blinds, they’ll last much longer than other options with minimal care. If you redecorate your home, you won’t need to replace wood blinds, as they can be easily repainted or re-stained. Any wood blinds that you purchase from Anytime Blinds and Shutters can be completely customized. The wood blinds can help you create a rustic or a modern look in your home, depending on the colors and styles that you choose. We’ll work with you to help you decide on the best options for window coverings in Riverside, and we’ll work within your budget. 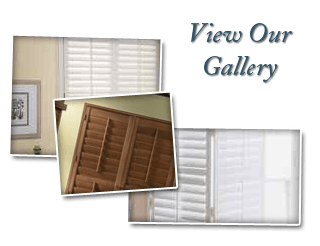 We can bring our showroom to your home and provide you with a free consultation to help you find the perfect wood blinds for your home. If you are interested in an estimate for wood blinds in Riverside, CA or the surrounding areas, please call 951-776-1596 or complete our online request form.